Apparel Desk: There is positivity in the entire textile value chain thanks to the pragmatic approach adopted by the government, says Confederation of Indian Textile Industry (CITI) has said. However, rising imports of textile products remains a key area of worry. As per Sanjay Jain, Chairman, CITI, the RBI Financial Stability Report for December 2018, stressed advance ratio of textile sub-sector has declined to 18.70 per cent in September 2018 from 23.70 per cent in September 2017. Jain points out as per Ministry of Commerce & Industry, DGCI&S, Quick Estimates data for November ’18, textiles and apparel exports in November 2018 grew 14 per cent to Rs 18,965 crore (US$ 2.69 bn) as compared to Rs 16,707 crore(US$ 2.37 bn) in November 2017. Apparel exports over the same period grew 21 per cent. The IIP production data for T&C also witnessed a robust year-on-year growth during October 2018 as compared to October 2017. Textiles and apparel sectors registered a growth of 6.2 per cent and 28 per cent, respectively during October 2018. 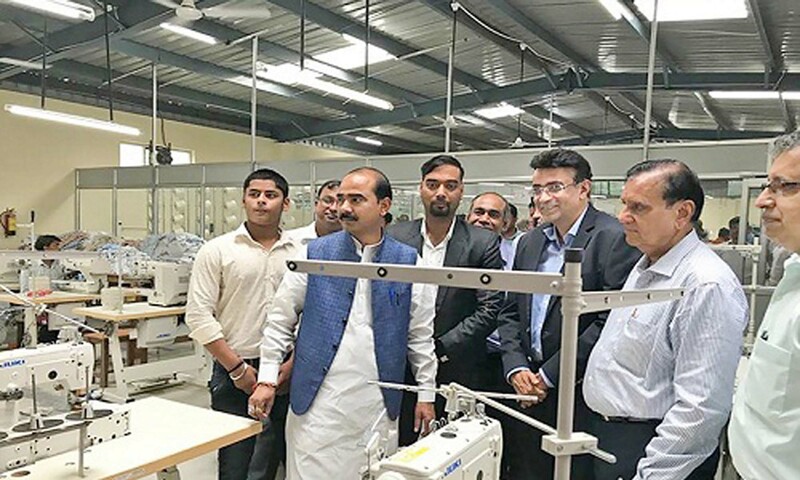 Jain believes, this positive trend in the entire textile value chain is the result of the pragmatic approach shown by the UnionMinister of Finance, Minister of Commerce and Industry and Civil Aviation and Minister of Textiles, on the issues of T&C industry. The government too has supported the industry by disbursing Rs 1,300 crore (US$ 1.84 bn) funds for the Samarth Scheme, Rs 6000 crore (US$ .85 bn) Apparel & Made-ups Package along with various state incentives; resolution of GST related issues, increase in import duty of various textile and apparel commodities, etc. Jain expressed his deep gratitude to the ministers for their timely policy support and intervention to boost the industry which was under severe stress especially after the implementation of GST. Jain also highlights some of the other prominent schemes that Ministry of Textiles has introduced for the development of entire textile value chain. These include: Scheme for Integrated Textile Park (SITP) and Integrated Processing Development Scheme (IPDS) which have been extended and notified from 2017 to 2020 and Technology Upgradation Fund Scheme (TUFS) under which A-TUFS has been launched for 2016-2022. However, one key area of concern today is continuously rising textile imports which needs immediate attention and government support. All the categories across value chain have seen a drastic rise in imports during Jan-Oct 2018 vis-à-vis same period last year.